Community Tree Planting is made up of two of FTFA’s flagship programmes – Trees for All and Trees for Homes. These programmes combine well to plant trees in both shared spaces (schools, hospitals, clinics, parks, etc.) and private homes, to create a healthier, more food secure environment. Trees for All is an award-winning programme that sustainably plants trees in shared spaces for a healthier, greener environment. This successful initiative educates communities about the benefits of trees, while offsetting carbon emissions and transforming the surrounding environment. anywhere else people will benefit from, and look after, trees. Trees for Homes is the most successful township, greening initiative in South Africa. Originally designed to address South Africa’s history of inequitable settlement policies, the programme grew to become the country’s benchmark of innovation in urban forestry. Which trees a household receives depends on a number of factors but FTFA will ultimately choose trees that are going to have the best survival. 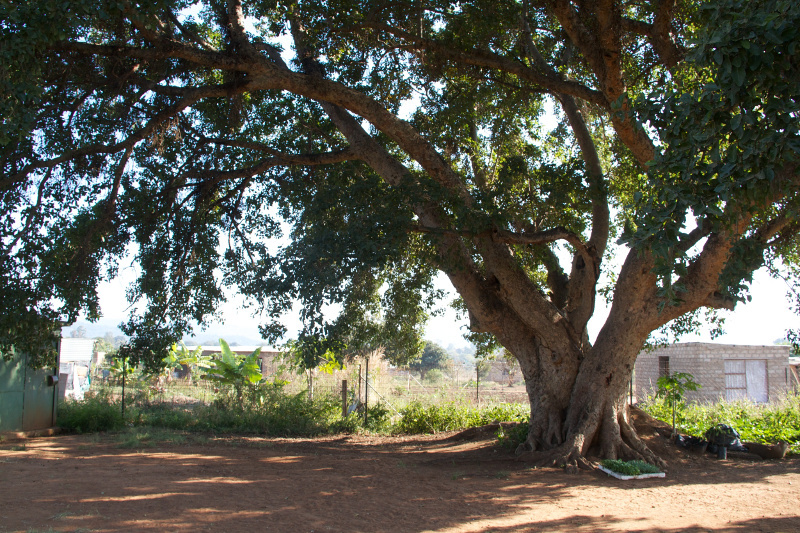 In some projects the community members ask for two fruit / nut trees. Developing community foresters with training and skills is also an integral part of the programmes design. These environmental champions create threads of awareness and appreciation and also have an opportunity for temporary and (potentially) long-term employment. TFH is currently driving greenbelt initiatives in a number of townships in major city centers nationally. We aim to transform these townships into rich urban food forests, teeming with life and biodiversity. This programme is also registered with the VCS (Verified Carbon Standard) making it possible to utilise it as a carbon offset programme. Plant trees at schools, clinics, age-homes and animal sanctuaries. Can donate any number of trees. Often coupled with events and/or volunteer days. Delivered tree + Compost + M&E is R130 / tree. FTFA has 1000s of applications on file. Trees are checked at regular intervals. We plant both fruit and indigenous trees depending on need. Plant trees at private homes in a community or township. Trees are checked at 1 week, 6 months and 1 year. Plant in our designated FTFA greenbelts. 2 trees per home – 1 fruit & 1 indigenous depending on need. Programme is Carbon Offset Registered. “The environment and the economy are really both two sides of the same coin.